You have moved your data to a new storage device and are ready to retire that old hard drive. But preventing the old hard drive and the data it contains from falling into the wrong hands is not as simple as shredding and recycling paper documents. Commercial Records Center provides hard drive destruction service in El Paso for customers looking to ensure that data will never be seen again. Commercial Records Center, a locally owned secure document shredding and hard drive destruction service provider in El Paso, holds AAA certification with the National Association for Information Destruction (NAID). It uses industry-leading hard drive destruction service machinery that eliminates the ability to access data. "Simply erasing a hard drive does not do enough to remove the old data," says Skip Litt, president of Commercial Records Center. "The safest method is using specialized machinery to physically destroy the hard drive and make that data unrecoverable." Free up storage space –Hard drives may not take up a lot of space individually, but update an entire office and they can really start to pile up. Combine that with the need to secure them, and you have a real challenge on your hands. 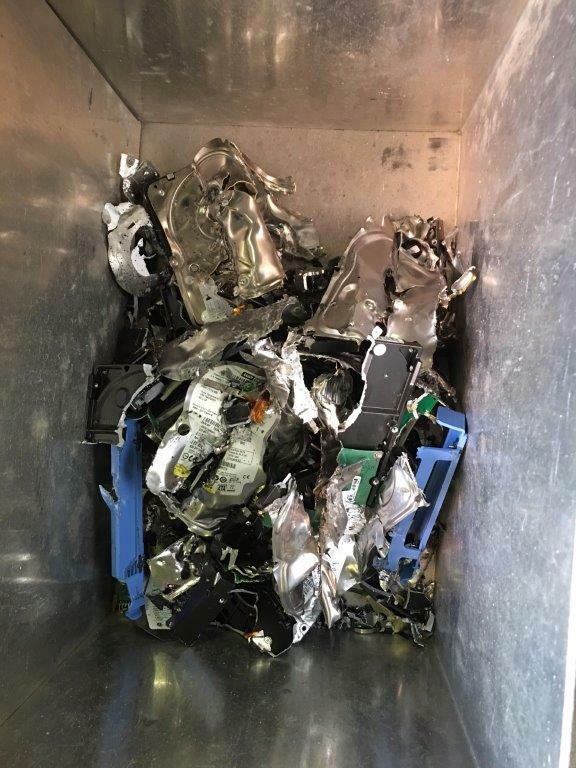 Ensure you are in compliance –Professional hard drive destruction service providers follow established procedures for destroying data storage media. It is our responsibility to follow the laws and ensure your organization is compliant. Prevent security breaches –Crooks are looking to access digital information every day. Don't make it easy on them by skimping on your hard drive destruction service. Security breaches come with significant fines, not to mention the headache of trying to clean up the mess. Contact Commercial Records Center to learn more about hard drive destruction service and its role in data security. Commercial Records Center is a locally owned records management company specializing in records and media storage, online data backup, scan-on-demand services, and document and hard drive destruction for customers in the El Paso, Texas, and southern New Mexico area. The company offers mobile paper shredding services for commercial customers as well as shredding for commercial and residential customers at its El Paso location. For more information on Commercial Records Center's capabilities or to request a quote, go to http://commercialrecords.com/ or call 915-534-3959. View original article on hard drive destruction service in El Paso here.